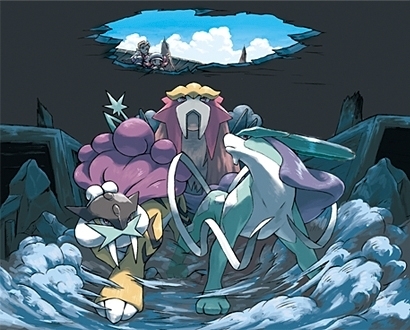 Entei,Raikou & Suicune. . Wallpaper and background images in the খ্যতিমান পোকেমন club tagged: legendary pokemon entei raikou suicune. This খ্যতিমান পোকেমন photo contains নকল মানুষের, কমিক বই, কমিকস, and কার্টুন.